Every so often, people do things with the Artefact Cards that make me go YES, GODDAMN IT, THAT'S AMAZING, WHY DIDN'T I THINK OF THAT..??? Hi Abi - so, tell us what you've been up to preparing for the summer holidays? What got you started on this? 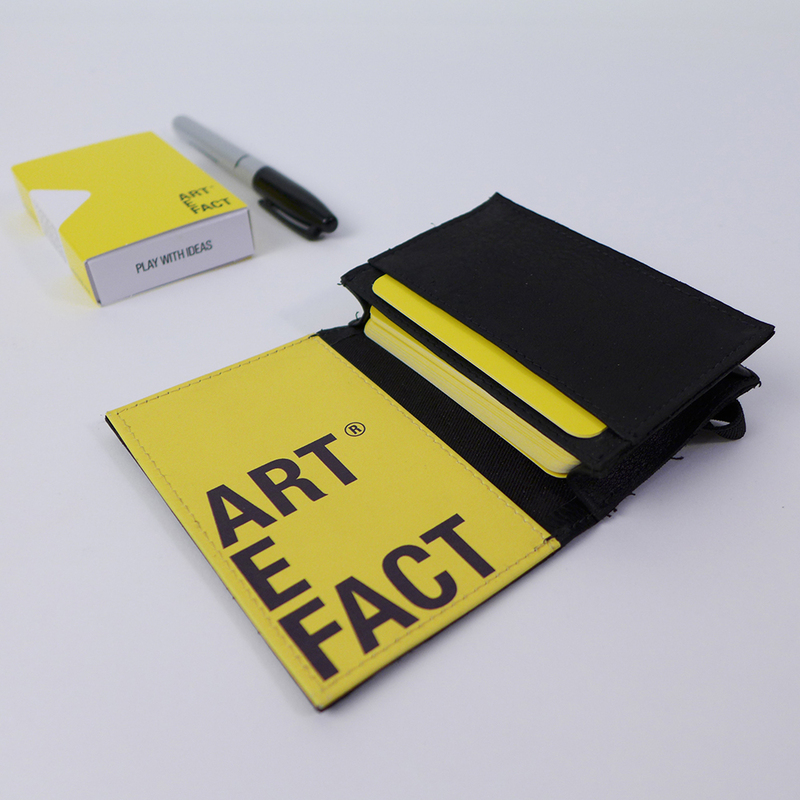 And why use Artefact Cards? Uh, in the moment, when one of my children tells me they’re bored, my mind goes blank! I wanted to catch my ideas as and when they came to me. The cards are the perfect tool, They feel nice, a great size for children, and we’ve used words and pictures on every card so they work for my youngest who is pre-school. I could go on… the whole point is that ideas don’t disappear so once written in permanent ink, the water bomb card can still go back in the pack after all the bombs have been thrown. I’m planning to present them in a treasure box which makes it easier for the children to shuffle and pick something they fancy, and emphasises that a great idea stays great… so you can do it again! How difficult was it to make a whole pack? We’ve been collecting ideas for a week or so now- our ideas and theirs- and recording them on some fantastic bright green Artefact Cards. We haven’t quite finished the pack yet but the lovely thing now is that they’re contributing more and more of their own ideas about what they’d like to do. I’ve got some fabulous ideas from Pinterest and various blogs as well. So, imagine you're a parent reading this and want to give it a go - what are your top three tips for getting started.